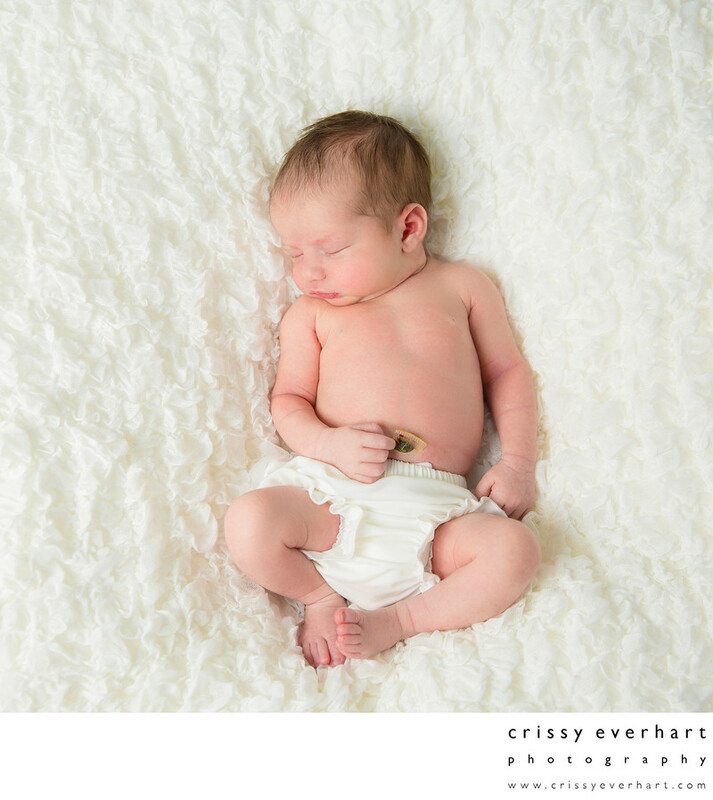 Newborn Portraits in Paoli of this baby girl, wearing a ruffled ivory diaper cover. Location: 690 Sugartown Rd. Malvern Pa 19355.